*Online Premiere* Living hand-to-mouth, two fringe ball players get one last shot at the "show" in a diner parking lot. 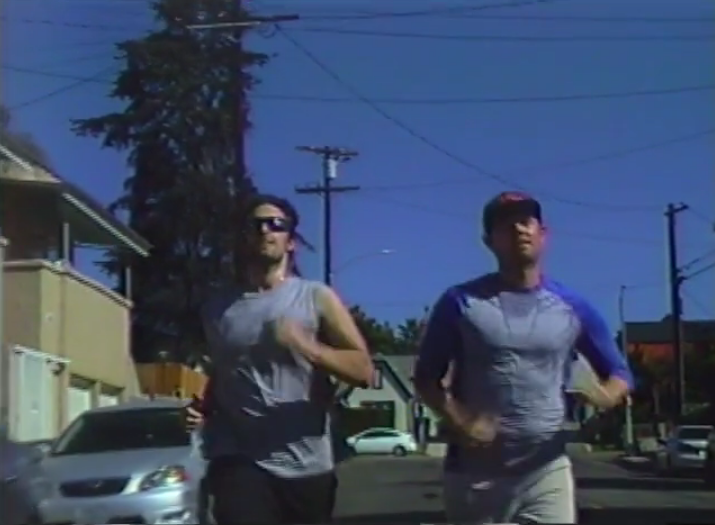 “Pitcher / Catcher,” directed by Will Janowitz and Monroe Robertson, delivers an oddball mix — part self-aware goof, part earnest homage to mainstream sports movies — using ramshackle VHS visuals and classic stadium sing-along tunes. Val is sleeping under a bridge when his old pal, Carroll, shakes him up with an offer for one last shot at Double-A baseball. All he needs to do is impress a scout, who’s waiting at a nearby diner, with his impressive curve ball and he’s “made in the shade.” Battling his current state of body and mind, and his fragile ego, Val fights for his last chance at glory even if it means going too far. Janowitz gives a balls to the wall performance as the washed-up, drugged-out pitcher, and the film is basically the end of a 90’s sports flick but made with no budget and no crew (all heart though). Janowitz can also be seen starring in Anu Valia’s “Troll,” and more recently, in a supporting role, in David Call’s “Cole”. [Watch on YouTube]. (13 minutes). Directed by Will Janowitz and Monroe Robertson. Starring Dylan Kenin, Arron Shiver and Will Janowitz. Shot and edited by Monroe Robertson. Music by Will Janowitz & Monroe Robertson. Read our new interview with Will Janowitz and Monroe Robertson. (Members Only).